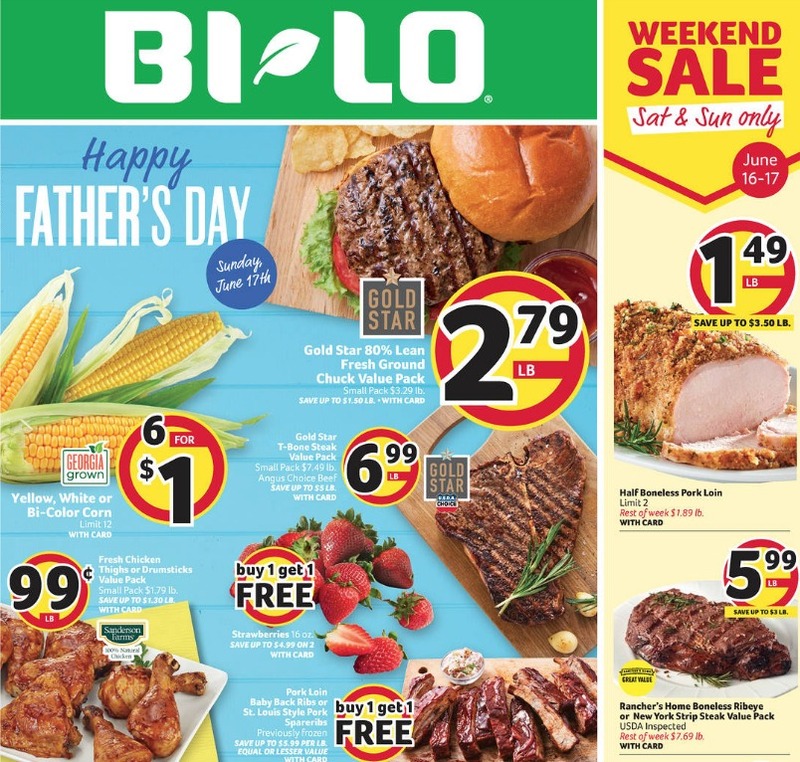 Check out all the deals in the new Bi-Lo Ad starting 6/13. They definitely hope you are planning to grill out for Father’s Day, there are lots of meat deals and even Charcoal on sale! Make sure to check back tomorrow afternoon for a list of unadvertised deals to also grab this week.